What a glorious day this has been. 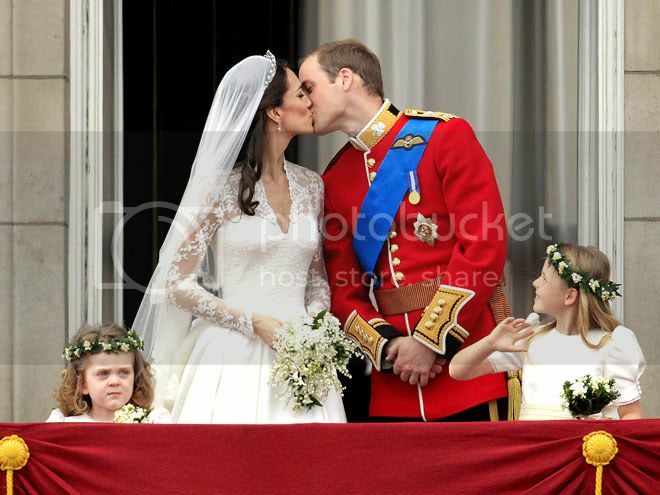 Prince William and Catherine tied the knot! Everything went off without a hitch at The Westminster Abbey! I've never been a huge lover of lace, but the Bride looked stunning in her Alexander McQueen gown designed by Sarah Burton. There were however some guests that were not so stunning. At first I thought with great shock and confusion "Wow, Lada Gaga got invited to the Royal Wedding?" No, I was wrong. It was Beatrice (cousin to the prince), pictured to the right of Eugenie. 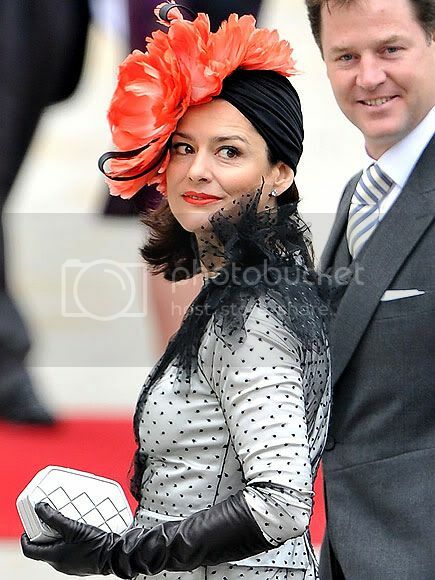 (Below) While many of the guests hats were elegant and yes extravagant, she showed up with this octopus-bow on her head. I'm still wandering how something like that stays on one's head. Here are some of that hats that I did like. This Royal Wedding stuff has been so fun. I've loved every minute of it. I never want it to end! I wondered if the princesses didn't think to themselves, "Well, if I have to wear a hat, I'm going to wear a HAT!" The Royal Wedding was so much fun,loved every minute of it. And some of those hats were amazing and some well not so much.